CFL teams vote to reinstate "NFL window"
CFL teams have voted to reinstate the NFL window, according to TSN Football Insider Dave Naylor. The NFL Window allows players to work out and sign contracts with NFL teams in the off-season when they still have one year left on their CFL contracts. Naylor added current contracts will not be subject to the window; it will be limited to those signed after August 20 because the league was required to give 30 days notice to the Players' Association. 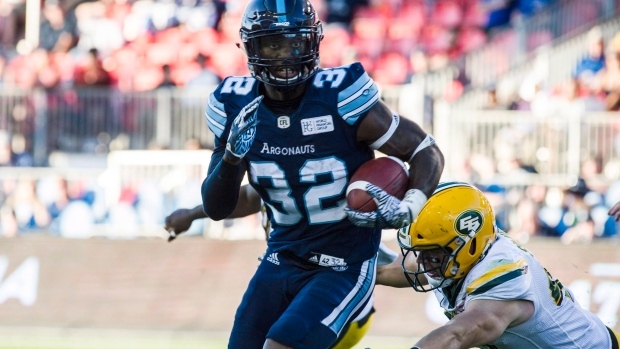 The issue arose this past off-season when Toronto Argonauts running back James Wilder threatened to sit out this season because he couldn't pursue NFL interest with one year still left on his deal with the Double Blue. CFL rookies are required to sign two-year contracts. Wilder eventually signed a new two-year deal with the Argos and because it was signed prior to the window being reenacted, will once again not be able to pursue NFL interest this off-season. Johnny Manziel will also not be eligible to sign an NFL contract this off-season. It is believed part of Manziel's hesitation before eventually signing with the Hamilton Tiger-Cats was not wanting to be tied to the CFL for two years.